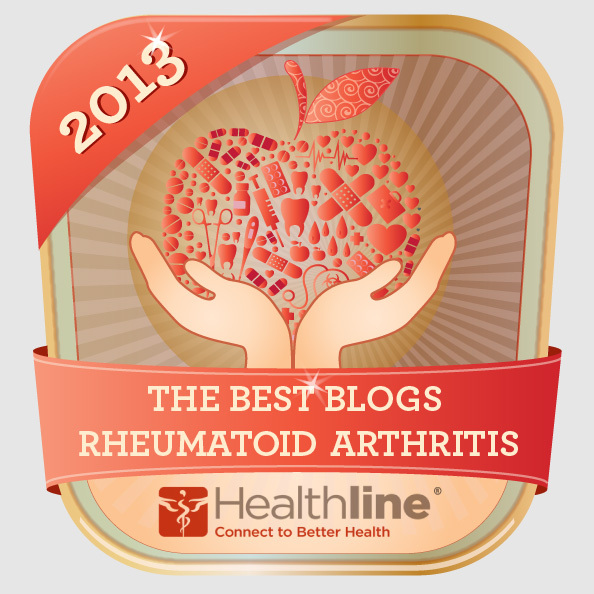 RA – the equal opportunity inflamer. When RA causes tendinitis, tendinosis, or tendonopathy, it hurts !!! Typical treatments are rest and NSAIDS. That applies to inflammation of any tendon, whether or not you have RA. Let’s see what can be done to hit this problem right out of the ballpark. Batter up! When it’s the achilles tendon, rest involves things such as avoiding stairs and using crutches. When a person’s home contains stairs, this suggestion is unrealistic. Sure, I’ll just sleep on the couch and not do any laundry for a few months. Strike one! Crutches might work to rest one side of the body, but when inflammation is symetrical, crutches aren’t a good solution. Strike two! A wheelchair might work – if you don’t have stairs to navigate. Foul ball! NSAIDs – now there’s a novel idea. People with RA are already taking prescription-strenghth NSAIDs – or even prednisone – and still get tendonitis. Strike three! You’re out! First line tendonitis treatments don’t work when you have RA. Home exercises or Physical therapy – double! 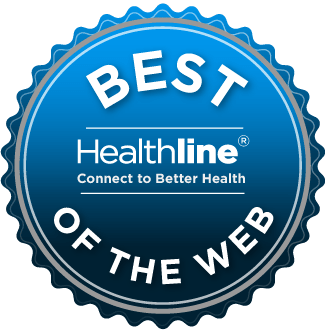 Transcutaneous Electrical Nerve Stimulation – hit! Bottom line: when you’re being treated for RA and still develop tendonitis, don’t lose hope. Relief is available. 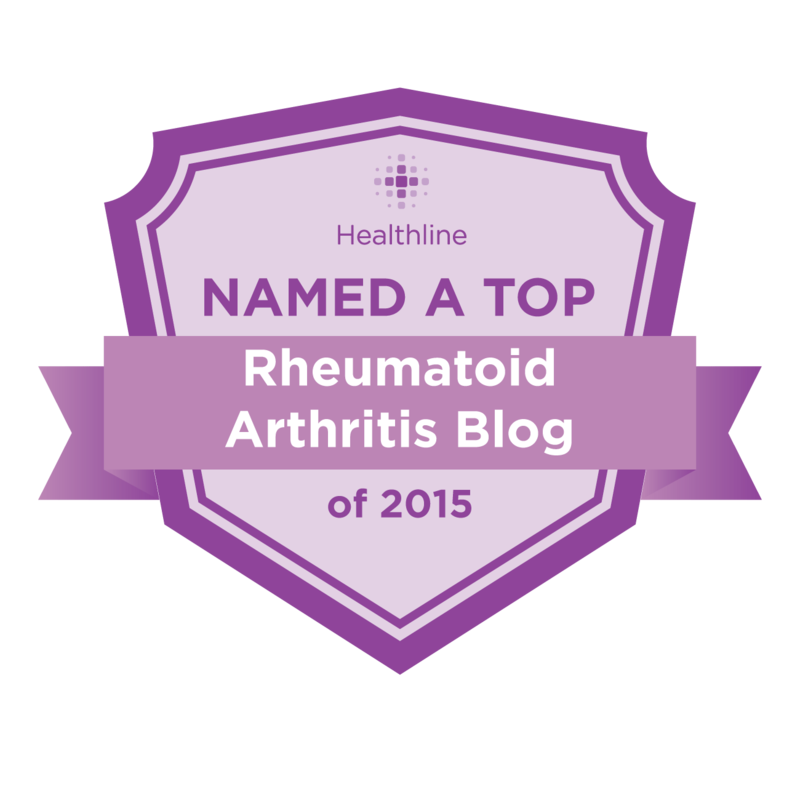 Dealing with RA, it’s easy to write-off any and all pain as somehow related to the disease. However, when my heels started hurting, my first thought was, “Wait a minute! The heel isn’t a joint!” Then the arches of my feet decided to join the party, and I learned a new itis. The plantar fascia is a ligament on the bottom of the foot that connects the toes to the heels. When the plantar fascia gets inflamed – there are many potential causes, but RA is sufficient – you get plantar fasciitis. 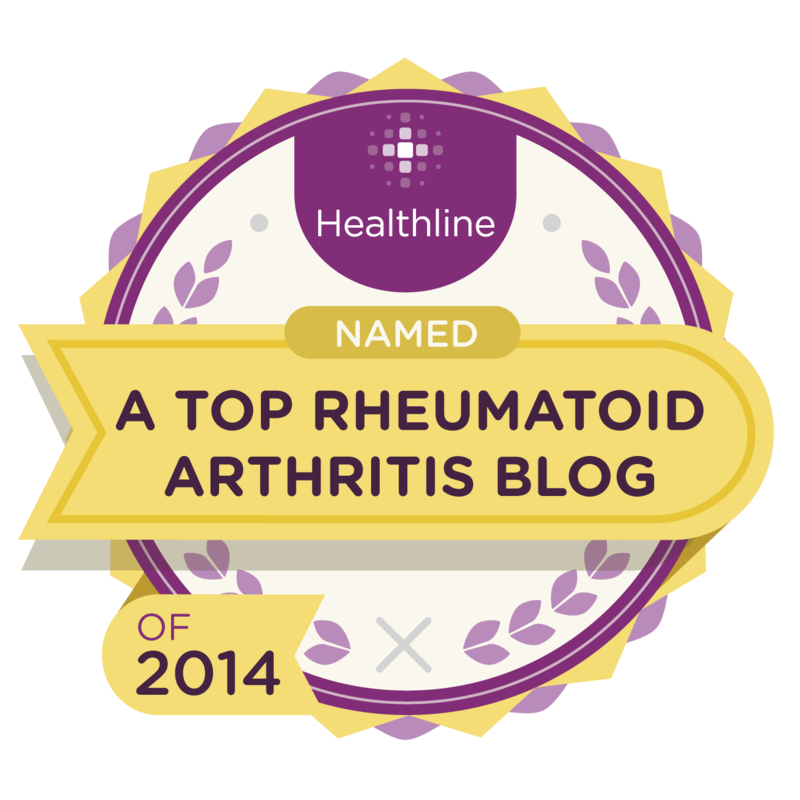 Your rheumatologist should be told, but you don’t have to wait for a doctor’s appointment to get relief. As the articles mention, cortisone shots are an option for pain relief. I’m a big fan of cortisone injections in the shoulders and hips, but not in the feet. The stretches work. They’re free (you don’t even need PT for these). You can do them at home. Well worth taking the time! We started summer-izing the pool a couple weeks ago. That’s just what it sounds like: the opposite of winterizing. We brought the pump back from winter storage, set up the heater, dumped in gallons of chlorine, and replaced the winter cover with a solar blanket. Yesterday the water reached 80 degrees (matching the outdoor temp). It’s finally warm enough to go swimming! Even when my shoulders aren’t up to swimming, I can jog laps around the pool – which I did for 90 minutes last night. 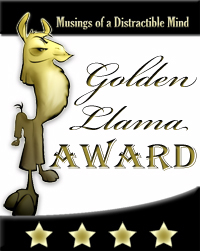 I won a Golden Llama Award!